With 10% percent LTCG tax coming into effect from April 1, have your mutual funds investments lost their sheen? Are ULIPs with their tax-free status now the better investment options? First, let's look at what are mutual funds and ULIPs. ULIP is a life insurance product, which provides risk cover for the policy holder along with investment options to invest in any number of qualified investments such as stocks, bonds or mutual funds. A mutual fund is a professionally managed investment scheme, usually run by an asset management company that brings together a group of people and invests their money in stocks, bonds and other securities. Now, we find out how they are stacked against each other before comparing their returns. ULIPs are costlier with a host of charges levied during their tenure. Some of them have 2-6% surrender charges before lock-in period of five years, policy administration charges between Rs 700 to Rs 1000 per annum and switching charges in case you want to shift between Equity, Balanced and Debt funds within the same ULIP. Fund management charges also from the core of ULIP charges. The maximum allowed is 1.35 percent per annum of the fund value and is charged daily. There are some other charges too which are not built into the net assets value (NAV) but levied by cancellation of the units alloted to the investor. In case of mutual funds, 1 percent exit load is charged if you withdraw money before an year. Short term capital gains tax of 15% is also applicable in such case. After one year, exit load is nil. Mutual fund expense ratio, nearly 2% per annum of assets size, is charged annually for MF investments. It includes management fees, administrative costs and distribution fees. You can't transfer your ULIP to another fund house. If you want to withdraw, charges are huge. In case of mutual funds, you have multiple options to withdraw after you have infused money for a minimum of one year in a particular MF. If you want to pull back earlier than an year, 1 percent exit load is applicable. The only respite in case of ULIPs is they are tax free at the time of maturity under section 10(10)d of Income Tax Act. 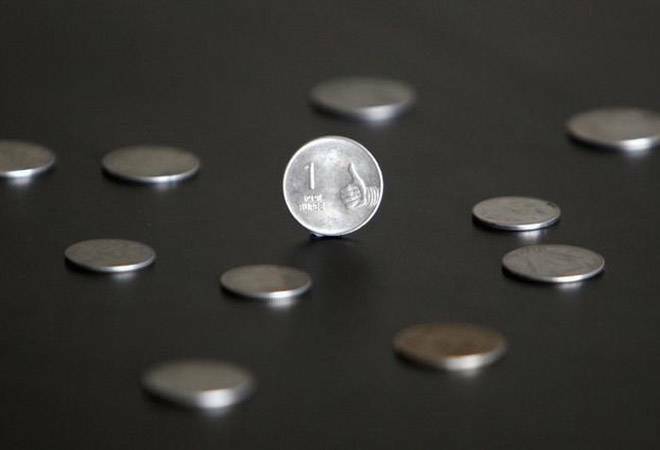 In case of MFs, 10 percent LTCG tax without allowing the benefits of indexation will have to be paid on long term capital gains exceeding Rs 1 lakh on sale of equity shares/units of equity oriented fund from April 1. Lock in period is the most critical point to watch out when you opt for one of these. In case of ULIPs, lock-in period of five years can lead to wealth creation in the long term but high charges act as deterrent. According to analysts, mostly ULIPs start delivering higher returns than mutual funds after 10 years of investment. During the first five years, ULIP charges eat into returns from your investment. So if your investment horizon is of more than 10 years, and you don't want to brainstorm about which fund you should pick, ULIPs are better investment options. Deepak Jasani, head - retail research at HDFC securities said, "Needless to say, the tax on LTCG will make tax-saving possibilities such as the Public Provident Fund (PPF) and ULIPs more tax-efficient than ELSS funds, the reason being that these will continue to be tax-free, while the profit from ELSS funds will be taxed at 10%. In our opinion, investors should not shun ELSS just because of the new tax payable, or revamp their portfolios with a bias towards ULIPs. Owing to the divergent nature of these investing avenues, each has a definite role to play in an investor's portfolio. Here is one reason why you should hold ELSS funds in your portfolio. Being pure Equity-Based Instruments, ELSS funds are likely to generate greater returns, making them a perfect long-term investment option. For higher returns, ELSS funds retain their relevance. The fact that post-tax returns would be greater than those of PPF and high-cost ULIPs, ELSS funds should definitely not be ignored. Data from Morningstar suggests a return differential of 100-300 bps per annum in favour of ELSS over ULIPs. This difference over the long term can result in a large absolute difference in returns. Some part of this difference will now be taken away by the LTCG (though being back-ended their per-year impact will be lower). Operationally, ELSS investments can be held fully or in part uptil any period beyond three years, as compared to ULIPs which are long term (15-20 years, though partial withdrawal is permitted after 5 years). In ULIPs however, one gets the flexibility to switch from equity to debt and vice versa without incurring any tax liability. ELSS schemes are more transparent in terms of levy of charges than ULIPs. Once KYC formalities are done, MF investors can invest in any other mutual fund online; but a fresh ULIP investment entails a lot of paper work and medical tests/IT returns' verification. So both the investment avenues have their own benefits and downsides. With an array of choices on offer, investors can have a field day. " Vaibhav Agrawal, head of research and ARQ at Angel Broking said, "Though ULIP has better tax advantage as compared to mutual funds, there are other factors, which also need to be considered. The most important factor to be considered is the returns, where mutual funds have consistently delivered better returns than ULIP. This is primarily due to high premium allocation/admin charges in initial years in ULIPs, which takes away substantial part of returns over long term. Further ULIPs have lock-in period and levy surrender charges for pre-mature withdrawal whereas mutual funds doesn't have lock in period (except ELSS) and exit load charge is applicable only if amount is withdrawn within 1 year (in most of the cases). Thus mutual funds still stand far ahead of ULIPs inspite of LTCG introduced on withdrawal." 1." Earlier, ULIP policies were mis sold as mutual funds. Now the good thing is that ULIPs will be sold as ULIPs (at least). 2. I never recommend to mix up investments with insurance. Insurance should do its job. Term plan is the only product worth shopping for. 3. ULIP policies are very expensive compared to mutual funds over long term. The 10% LTCG would still be smaller compared to charges associated with ULIPs. During the earlier years, say 5 to 7 years, the yearly charges in ULIP ranges from 4% up to 8% per annum. Later though the charges diminish, the average cost remains high. 4. In a volatile market, one cannot expect ULIPs to afford mortality costs. 5. If an investor takes a holistic look at his entire portfolio, then he will find no reason to substantiate the inclusion of a ULIP in the kitty. With high life cover supplied by an online term plan and a well managed debt and equity portfolio in the investment front, a set of well diversified direct equity portfolio or a mutual fund portfolio can yield better and cost effective results over long term. Data from Morningstar show that ULIPs deliver 100-300 basis points lower returns compared to mutual funds. During the past one year, an average large-cap ULIP fund grew 15.51% compared to an average large-cap mutual fund which saw a growth of 18.83%. (One basis point is one hundredth of a percentage point). Hence, mutual funds are better options even after imposition of 10% LTCG tax since they have been offering higher returns in the past. Also they don't have a long lock-in period, which makes them easy to use in case of emergencies. They also suit those investors who have a shorter investment horizon than 10 years.